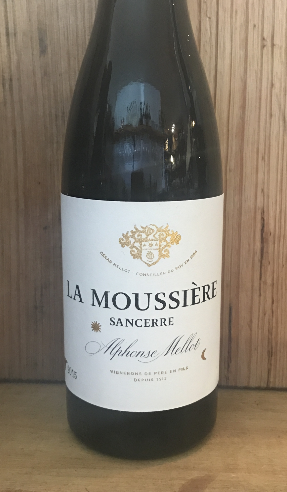 2015 Alphonse Mellot 'La Moussière' Sancerre 375ml. Loire Valley-FRANCE. Biodynamic Sauvignon Blanc. Some of the best Sauvignon being produced in the world right now. These white Sancerres are being compared to the white Burgundies and winning. The region's popularity has led to a load of commercially made wines from machine harvested fruit. Mellot is a beacon of quality through all this and makes Sauvignon to the highest standards. 40 people employed to manage 47 hectares! That's dedication. Taste it in the glass.